Men's ski boots. All the ski boots listed on this page are men's ski boots, suitable for men, boys and male skiers of all ability levels. Men's ski boots can be worn by women too so they have unisex appeal. The main differences between men's and women's ski boots tends to be the colours, the graphics (some women's ski boots have girlie graphics) and the height of the leg section of the boot. Women's boots tend to be a little shorter in the leg simply because women's legs also tend to be just a little shorter. Intermediate ski boots for all-mountain use, easy to use and friendly on the feet. 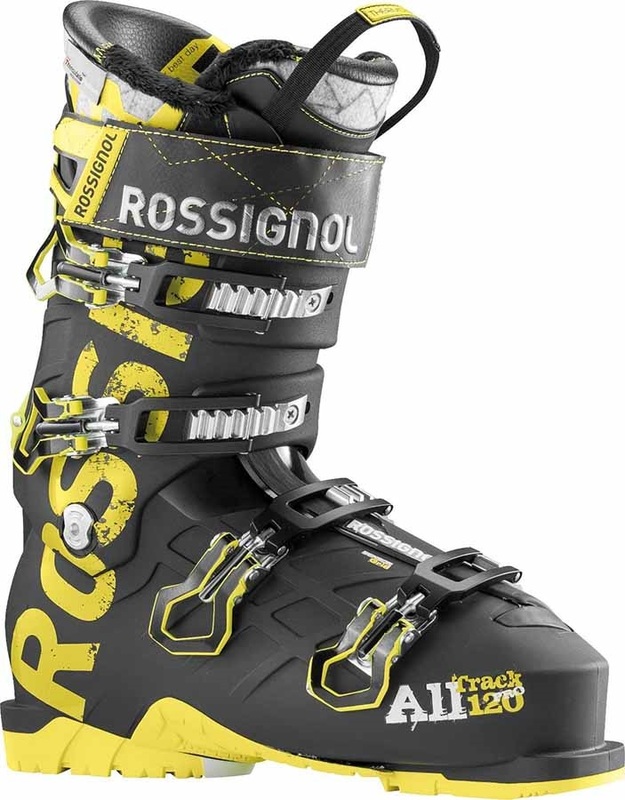 This versatile entry to Rossignol's boot range features a stiff flex and moderate fit. 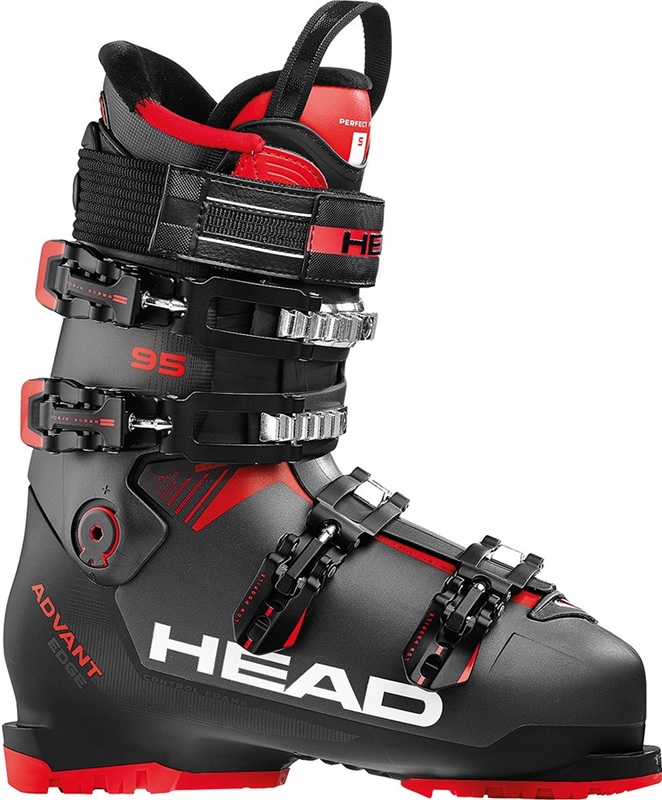 Mid-large volume ski boots from Head, built for all mountain performance. Atomic’s light high performance ski boots for agile all mountain control, in an advanced to expert 120 flex. 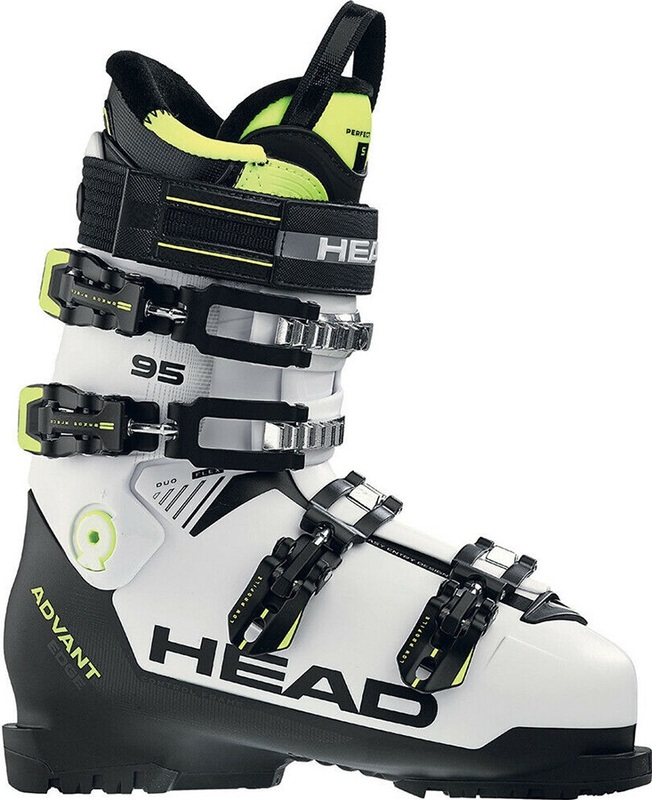 The most forgiving ski boots in Head’s new state-of-the-art Nexo Lyt all mountain range. The stylish B.F.C. WALK 100 is built for all day comfort and maximum walk ability. The Nexo Lyt 110 G is a medium/firm flexing all mountain boot with graphene for lightweight performance. Nordica's all mountain performance model that features a primaloft insulated lining. The wide fitting, firm flexing Full Tilt boot. Salomon's most accessible X-Pro boots, bringing technical all mountain performance to less experienced skiers. The original ski boot from Full Tilt: simplicity and performance. Mid flexing ski boots that provide access to the world of precise, fast, performance skiing. Experience the adrenaline of perfect control, power, and precision with the Salomon S/Max piste performance boots. The Nexo Lyt 120 G is a firm flexing all mountain boot with graphene for lightweight performance. Atomic’s light high performance ski boots for agile all mountain control, in an intermediate to advanced 110 flex. K2's stiff all mountain chargers for uphill mobility and downhill stability. Precise fit and response for advanced and expert skiers. A high performance all mountain boot with a 110 flex for lighter advanced and expert skiers. Salomon’s X Pro all mountain frontside ski boots. In a mid volume 100mm last with a user friendly flex of 100. A best in class all mountain mid volume alpine ski boot. This model has a 100 flex intermediates and lighter advanced riders. Salomon’s ever reliable all mountain frontside ski boots in a 100mm last and a strong 120 flex. Rossignol's performance all mountain boots for the skier that wants one boot to ski everything.